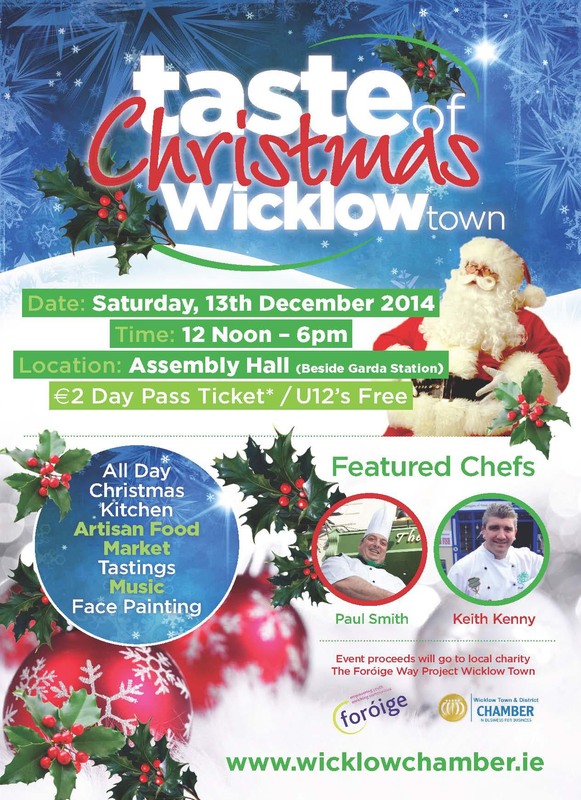 Wicklow Chamber is delighted to announce the launch of Taste of Christmas Wicklow Town, which will take place this Saturday (13th) from 12 Noon to 6pm in the Assembly Hall. Taste of Christmas Wicklow Town will be a fusion of local food including a Christmas Kitchen, artisan market, tastings, live performance from the M.Y.Th Academy of Performing Arts & Music, face painting and more – €2 Day Pass Ticket / U12’s Free. Event proceeds will go to local charity The Foróige Way Project Wicklow Town.